There are so many different places to stay in Gulf Shores and Orange Beach, it can be hard to choose accommodations. As much as we like to visit, one day I’ll have stayed in them all! (Goals, right?) No matter where you choose to stay on your vacation to Alabama beaches, you can be sure to enjoy reduced, off-season rates during this time of year. It’s just one more reason to #keeponsummering in Gulf Shores and Orange Beach. 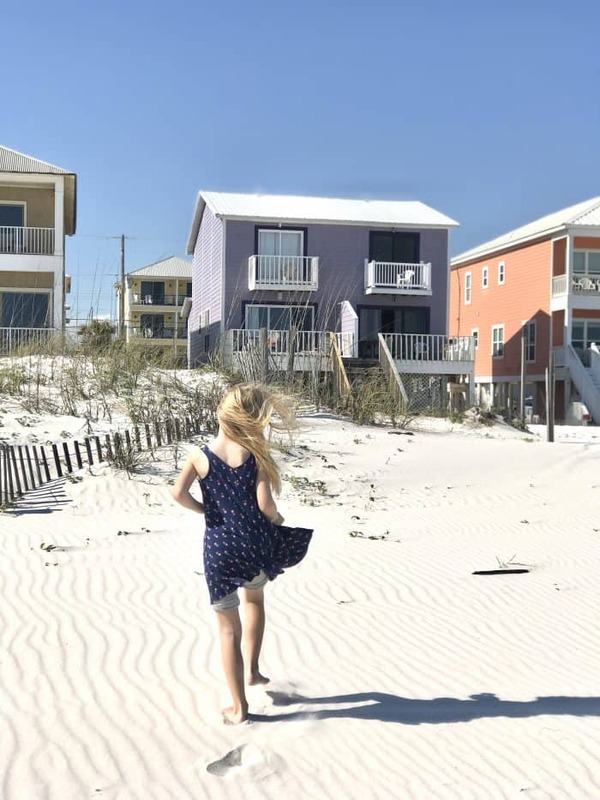 Here are 5 Gulf Shores rentals your family will love. 1. Somewhere in Time 1 by Harris Properties – This is where we stayed on our most recent visit to Gulf Shores, and it’s a fantastic place to stay with a large group. We almost felt a little wasteful having all this space for just the four of us! Almost. Mama enjoyed having a little breathing room. I’m not going to lie. The sister property next door was hosting an entire wedding party and the couple was married right out front. Who wouldn’t want to tie the knot with this view? You can get much closer to the Gulf than a stay at Somewhere in Time 1, and there’s room for days. While technically a 4-bedroom, my kids opted instead of spreading out, to stay in the bonus bunk bed room and loved it. It’s also dog-friendly so you can save on boarding your pooch! While technically in Fort Morgan, The Beach Club Resort and Spa can’t be left off this list. 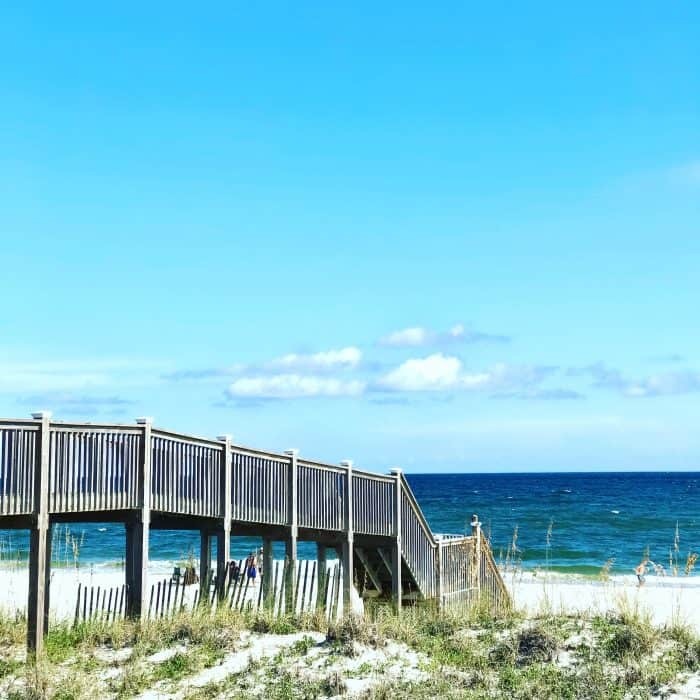 You may have a little drive into Gulf Shores from there, but the nice thing about The Beach Club is that it’s pretty all-inclusive so you don’t have to leave the property unless you want to. Get some groceries on the way in, and you’re all set! Pools, restaurants, a fitness club, and even an arcade are there to keep you busy. Guests booking directly through Spectrum Resorts get on-property discounts at the restaurants and The Spa & Salon. Spectrum Resorts guests also get complimentary bike rentals. Don’t forget their Clean Bed Guarantee which means every guest has a freshly laundered white duvet! I think you’ll love staying there as much as we did. 3. 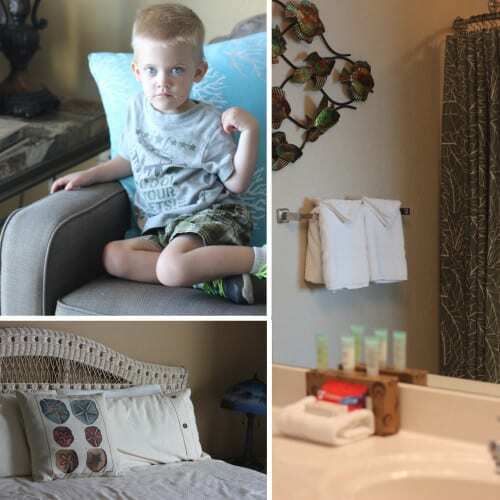 The Tradewinds – This is where we stayed for Sweet T’s first trip to beach before I was even blogging about travel. Look how young they both were! We sure have made a lot of family memories in Gulf Shores and Orange Beach over the last 8 years and I’m grateful. 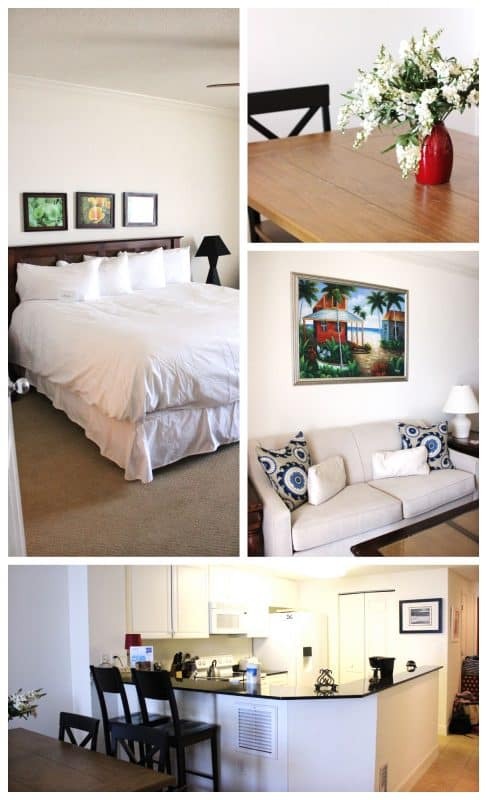 What we loved about The Tradewinds besides being right on the water, was the convenience. 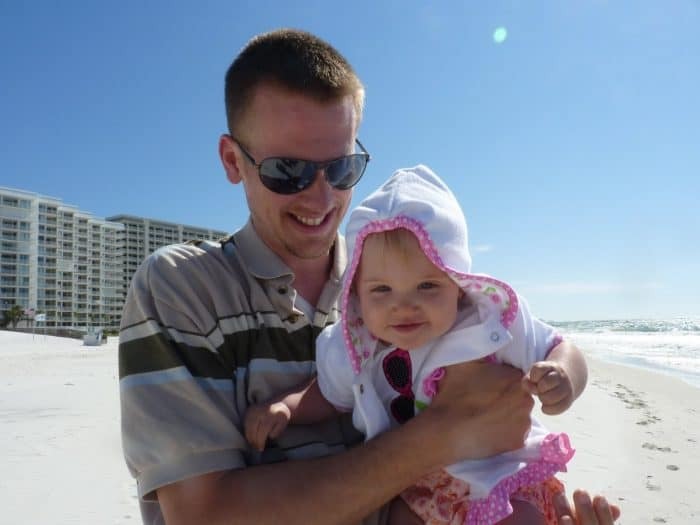 Situated in Orange Beach, The Tradewinds gave us quick access to restaurants and groceries which was pretty important while traveling with a baby. We weren’t so much concerned about proximity to activities as we were well, survival. Just like at home! It was a time when our days revolved around her sleep schedule, managing public breastfeeding, and trying solid foods so we were grateful for the convenience. I’ll never forget Hubs running to the store to grab a few more jars of pear baby food because she just couldn’t get enough. 4. 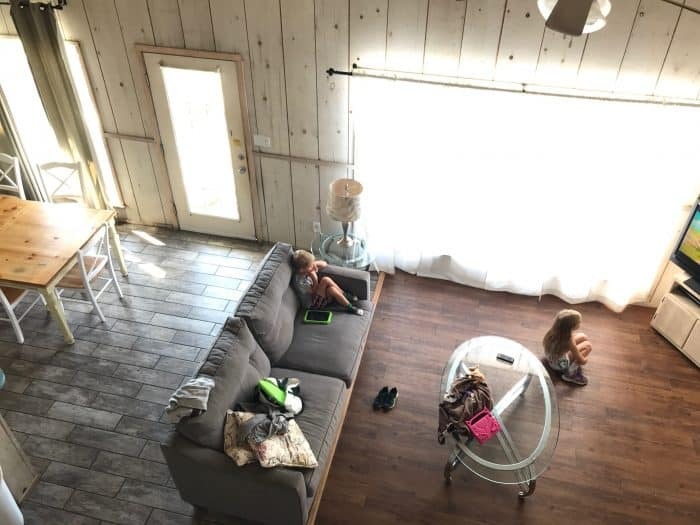 Oz by GulfSands Rentals – If you ask the kids where their favorite place to stay in Gulf Shores is so far, they’ll tell you, “The purple house!” We stayed on the “Toto” side of the Oz beach house and couldn’t have been more pleased. 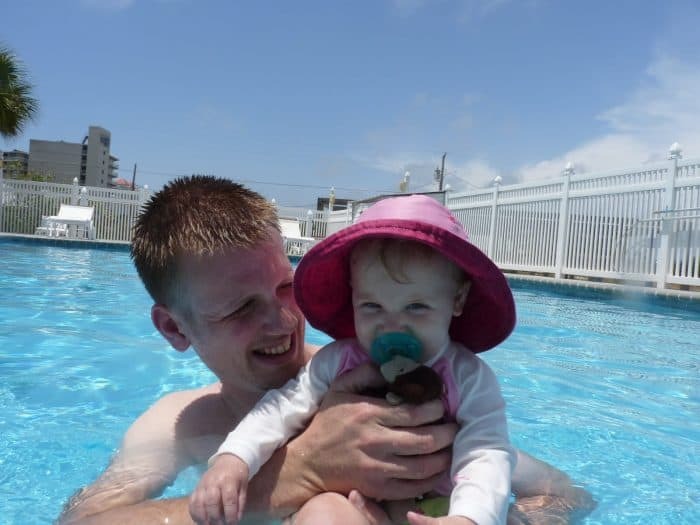 It’s a great place to stay in Gulf Shores on a budget too. 5. 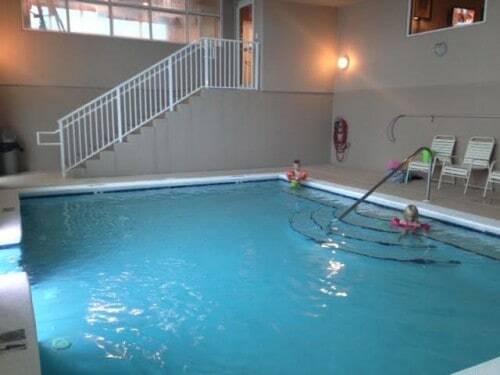 Crystal Shores by Young’s Suncoast Vacation Rentals – What made our stay at Crystal Shores extra special was the indoor pool. It rained for at least half of our trip and we didn’t get in as much beach time as we would have liked. Were the kids bothered? Nope. All thanks to the indoor pool. It kind of saved the weekend! I hope this list helps you find the perfect place for you and your family based on your individual needs. 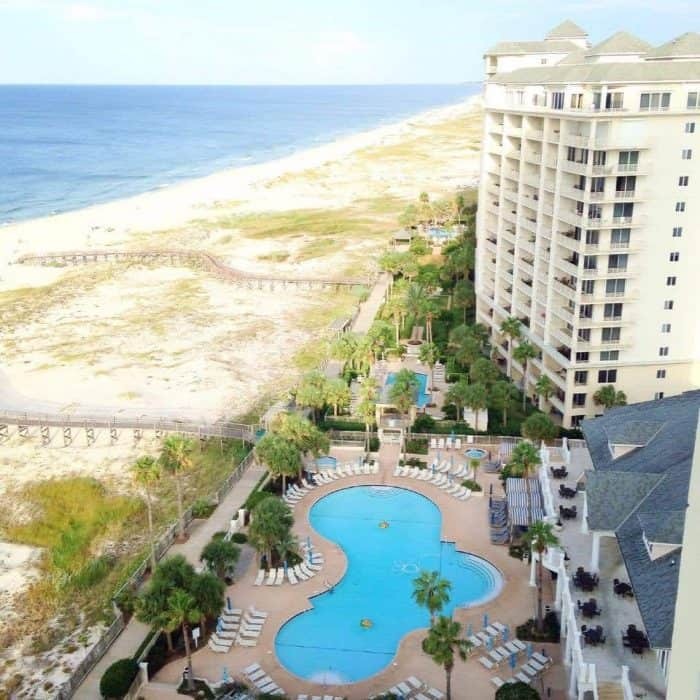 Where is your favorite place to stay in Gulf Shores and Orange Beach? Check out these Best Places to Eat in Gulf Shores while you’re here.